L. VICTORIA – At least 10 people were confirmed to have drowned on Thursday after a Tanzania ferry carrying more than 100 people sank in Lake Victoria. The ferry, MV Nyerere, was plying between Bugorara and Ukala islands in Tanzania. The Tanzania Electrical, Mechanical and Electronics Services Agency (TEMESA) confirmed the accident and said over 40 people had been rescued from the water. TEMESA said an operation was underway to rescue more people. 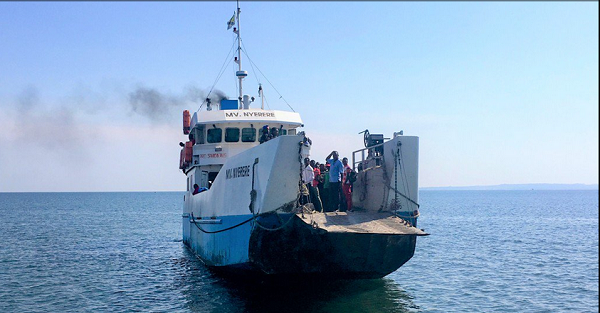 The ferry has a capacity of 100 people but Tanzanian newspaper The Citizen quotes a witness saying that it was overloaded at the time of the incident. It is not clear how many people were on the ferry at the time the incident occurred. TEMESA Spokeswoman Theresia Mwami is quoted by Reuters as saying that the ferry did not have any mechanical problems because TEMESA had carried out heavy maintenance on it in recent months including overhauling two engines. Accidents are common on Africa’s largest lake, Victoria, where boats often depart overcrowded. In 2012, at least 145 people died in a ferry disaster in the semi-autonomous archipelago of Zanzibar in the Indian Ocean, on a vessel that was overcrowded. More than 800 people died in 1996 when the MV Bukoba capsized. It was one of the worst maritime disasters of the last century.